A big warm hello to all of my wonderful programmer friends! It’s Andy Gesner and the staff from HIP Video Promo, back with another terrific, evocative video from one of our favorite bands. Since forming Calexico in 1996, Joey Burns and John Convertino have released some of the most courageous, fevered, and revelatory roots-rock ever made. Burns and Convertino met while playing in Giant Sand, and have since pushed their sound even further into the sun-baked desert than Howe Gelb’s legendary combo ever dared to go. Fusing sparse Californian folk, parched C&W, Latin jazz, surf music, hallucinatory rock and roll, traditional South American music, and sounds too uncategorizable to fit into any genre, Calexico has created a constellation of musical associations that feels at once deeply personal and oddly universal. The symbolism of the Southwest is a preoccupation for Burns and Convertino (their headquarters is in Tuscon, that weird desert-dream of a city), and their albums have become essential listening for anybody hoping to understand the peculiar culture and storied history of America’s strangest and most sun-scorched region. 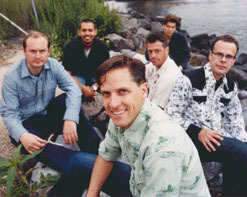 Since the release of 2003’s Feast Of Wire – the band’s undisputed breakthrough – Calexico has toured ceaselessly, collaborated with some of the biggest names in independent music, and released live DVDs and spinoff recordings to an enthusiastic reception by fans and critics alike. The group has brought the sound of the mythic Southwestern to Asia, Australia, New Zealand, and Northern Europe, and has shared Stateside stages with James Mercer and M Ward. Burns and Convertino have worked with Neko Case, Laura Cantrell, Nancy Sinatra, French singer Marianne Dissard, and crafted a radiant full-length with Sam Beam of Iron & Wine. In The Reins, the collaboration with Beam, topped critics’ “Best Of” lists for 2005, and further heightened anticipation for the proper follow-up to Feast Of Wire. That album has arrived. Garden Ruin is simultaneously the purest expression of Calexico’s sound and an adventurous departure from expectation. Burns and Convertino have refined their blend of folk-rock and stark-Americana to a pure and intoxicating spirit, and their literary allusions and spare poetry have never felt more resonant. Yet Garden Ruin contains more pop and hard rock influences than have ever before been heard on a Calexico album, and there are moments when this polyglot group of cultural omnivores seems only a stone’s throw from the Billboard charts. And for the first time, Calexico has grown overtly topical – many of the songs on the new album address environmental and political problems, and evince genuine anger and frustration with the outside world. If prior Calexico releases brought Americans into the desert, Garden Ruin is the recording that brings the desert to America. “Cruel”, the lead single, is a stark, radiant, and masterfully-executed piece of folk-rock – a side road indicated by In The Reins, but left unexplored until now. As the melody curls upward like smoke, the band plays with newfound firmness and resolution. 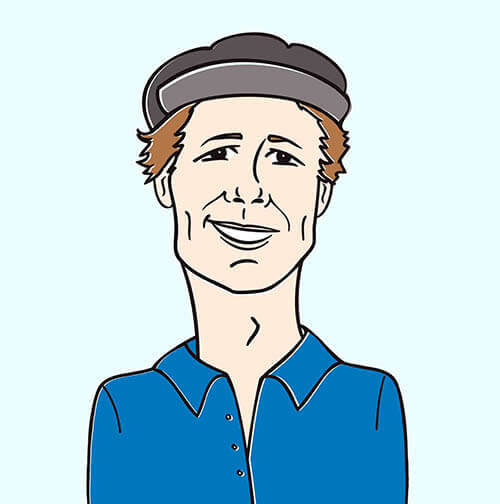 The outlines of the composition are hazy and intoxicating, but the core of this song is as hard as a pebble. The clip for “Cruel” trades in a parallel juxtaposition of textures. The band plays in an abandoned and decaying structure. At times, it resembles a factory, saddled as it is with heavy smokestacks and ancient machinery; in other shots, it seems to be a deserted mansion, decorated with high windows and colonnades. Burns sings to the eaves plaintively, strumming an acoustic guitar and staring out from rusted, black-brown vestibules. A ghost haunts these halls, blue-green and hazy, and clutching a parasol. The band doesn’t see her, but a little girl does – she reaches out to grasp the phantasm’s arm, but it’s incorporeal, misty. And as the song reaches its climax, strange irruptions of color tear through the walls and floors of the building. Walls crumble, bricks are magically dismantled, towers disintegrate into powder. But although the very floors upon which the group stands are quaking, it’s not an apocalyptic scene. The destruction and sudden dissolution is graceful, and somehow serene – and if the structure (and the world surrounding it) is returning to sand, it seems a fitting fate for an edifice that has outlasted its purpose. We once again have the pleasure of working with Sara Tolbert and all of our friends at Touch and Go Records to help promote Calexico, yet another terrific artist from their roster. Calexico will be touring select markets throughout April before heading off on a European tour with Iron and Wine. If you would like to set up video interviews or IDs while they are in the states, let us know. We also have copies of Garden Ruin available for on-air giveaways. If you need more info, call Andy Gesner at 732-613-1779 or e-mail us at HIPVideo@aol.com. You can also visit www.tgrec.com or www.CasaDeCalexico.com to find out more about Calexico.